This entry is part 11 of 13 in the series Starfleet Academy. Here’s where the rubber hits the road, folks. Like I said last week, I don’t have a lot in mind when it comes to storylines for my hypothetical show, Starfleet Academy. But as I thought about it, a bunch of different potential threads pulled together into what I think could be a fun story that could span two seasons or so. I would want to save this for seasons 3 and 4, mostly to get all the pieces and characters into place. But now that we’ve got everything set up, let’s dive in to season 3, shall we? Given everything that happened in the “Big Race” storyline, you would think that our heroes would keep their heads down and their noses clean. And for the most part, they do. I mean, they’re still on the lookout for the Big Bad, the folks that they had to take on while on the Race, but for the most part, life seems to have settled down. But then it all starts to go off the rails after one night at O’Brien’s. Our heroes are having a rare night out and, in the course of the evening, they start to play a game I’ll call “One Up.” Basically they’re telling stories in an attempt to one-up each other. So Kam tells the story about how his great-grandfather wound up trying to fight Jim Kirk with a fencing rapier. Then Jessa talks about the time that she and a friend tried to sneak into a Dominion base to steal some ketracel white as part of a stupid dare. Molly O’Brien gets in on the act by spinning some yarns about what she saw on Deep Space Nine. When it’s Naomi Wildman’s turn, she tells a story about a time when Voyager was stopped dead in the water. The entire crew had to deal with some sort of top secret situation that had everyone pretty badly stressed out. The others are intrigued and ask her what, specifically, happened. Naomi admits she didn’t know for sure. She was just a kid, after all, but that kind of helped in her favor. A bunch of cremembers talked about it afterwards in her presence, thinking she wouldn’t understand. She said that the incident had something to do with the Omega molecule, whatever that was. Naturally, none of our heroes have ever heard of Omega, but the mere mention intrigues Herschel Williamson. Herschel starts doing some very clandestine research into Omega and, thanks to his prodigious intellect, is able to piece together the truth using rumors and innuendos. And it gets Herschel really, really excited. See, back before Herschel was frozen, he was working on something similar to the Grand Unified Theory (only more Star Trek-y). If he had succeeded in putting it together, it would have not only unlocked the secrets of the warp drive, but it would have also catapulted Terran science forward by three or four centuries. Herschel had come close to figuring it out back in the late twenty-first century, but he just couldn’t. The missing piece to the puzzle was Omega. Using his newly completed equations, Herschel thinks he can not only synthesize Omega molecules in a new way, he can stabilize them, allowing them to be harnessed. Then, one night, Herschel is confronted by a shadowy figure who offers him the resources he needs to conduct his experiments. More than that, the figure injects Herschel with something. From that point on, Herschel is seemingly possessed. He spends more and more time in a secret lab that he sets up, devoting himself to his experiments to create stable Omega molecules. The others immediately notice the change and try to intervene. This does not go well. Quma, Herschel’s girlfriend, tries the hardest, only to have Herschel dump her. Sienae, the Romulan exchange student, attempts to distract him as well, only she does this by seducing him and convincing him to show her what he’s been working on. 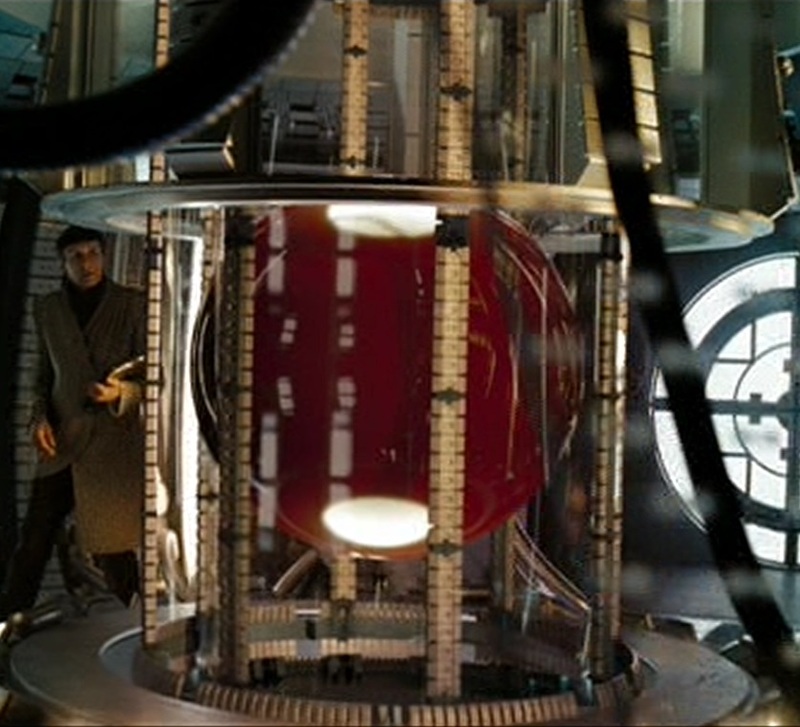 Then he shows her his crowning achievement: a resonance chamber (similar to the one Seven of Nine constructed) filled to capacity with Omega molecules. The sight is breathtaking. Sienae asks if the molecules could be transported from the lab. Herschel says they could because of the chamber. That’s when someone attacks the lab. Masked individuals storm in and stun Herschel. When he comes to, the resonance chamber is gone. So is most of the equipment. The only thing that’s really been left behind is the container of byproduct stuff. Worse, though, is the fact that Herschel is surrounded by very angry Starfleet personnel. Herschel is put on trial. He’s not only going to be drummed out of the Academy, but he’s looking at a heft prison sentence. He’s not only created a dangerous substance in the heart of the Federation, he allowed it to fall into enemy hands. It turns out that after the raid, Sienae vanished, leading most people to believe that the Romulan exchange student really worked for the Tal Shiar. Just about everyone is ready to write off Herschel and bury him, but not his friends. They dig into his case and crash the court martial, revealing the truth: someone manipulated Herschel into creating those Omega molecules. Scans of his brain reveal that he’s been manipulated using a drug that reacted similarly to the way Onaya the muse operated on DS9. Kam and the others present their findings about the Big Bad, speculating that they were the ones who used Herschel to create the molecules. The officers on the court martial are swayed by the evidence they present. Herschel is exonerated for the most part, although he does face discipline for his actions. During the end of the season, the gang winds up in O’Brien’s once again, wondering what’s going to happen now. Jessa points out that Herschel’s little experiment has created enough Omega molecules to destroy the entire galaxy. Where could they have gone? That would be the ending point for season three. Now obviously, there would be other episodes woven into this storyline. But this sets the stage for the chaos that will emerge in Season Four. Come on back next week. Let me know what you think. And remember: Sharing is Caring! 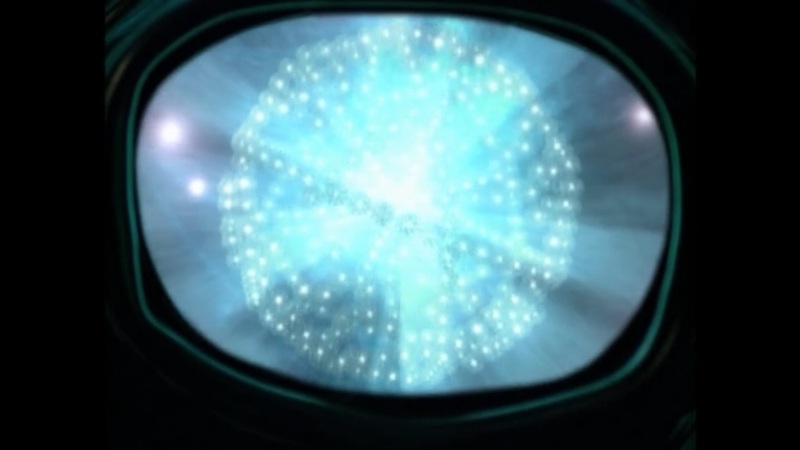 Yeah, I think Grand Unified Theory is actually very Trek-y. It just needs to be dressed up with some pseudo-science language. I’m glad that you’re willing to make respected “good guy” characters make serious mistakes and suffer real consequences, while still preserving the general status quo for the sake of television. Jessa points out that Herschel’s little experiment has created enough Omega molecules to destroy the entire galaxy.